1. Can you describe your photographic style? Photographic style is a very individual thing, and I like every couple to understand and like my style before booking me. I enjoy shooting quietly and with the freedom that comes from knowing my clients like my work and trust me. I’m not one for iconic ‘hero’ shots of the bride and groom, nor do I work much with flash, throwing artificial light on everything. What I will do is use the beautiful available light to retain the atmosphere and character of your day discreetly. I like to look for the real moments that are happening, the quiet moments of reflection, of nervousness, of joy, the laughter, the children playing, the emotions, the fun stuff, the looks that pass between people – all the things you may likely miss at the time as you enjoy your day, but will want to remember. What you get is a very real record of your day without interruption. It doesn’t mean by the way that I won’t do your detail shots, your groups or couple shots, of course I will, but I do suggest you keep groups to a minimum that will take about 20 mins only. 2. How long have you been shooting weddings? 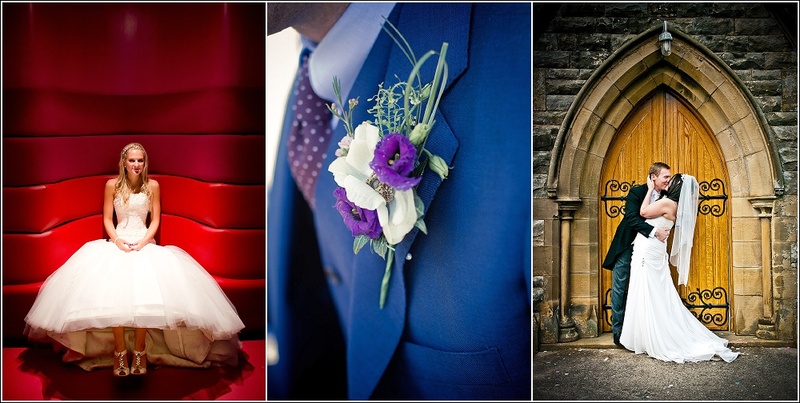 I shot my first wedding in the late 1980’s for a friend (the hotel had to be evacuated for a bomb scare and controlled explosion – so i had a real baptism by fire!). Then did a few more for family and friends over the years, but I didn’t get started for real till 2004 when I set up Beanphoto and I went digital a year later. Nowadays, I shoot around 15-20 weddings a year. Experience is crucial in shooting weddings. In my time I’ve experienced bomb scares at receptions, fainting brides, double-booked churches and a lot more. There’s not much now I haven’t seen and nothing that has fazed me yet! Your photos are in safe hands! 3. Have you worked at my venue before? I work mostly in Lancashire and South Cumbria, and occasionally into Yorkshire and there are a huge amount of venues! In my local area (Lancaster and District), I’ve shot pretty much everywhere, and I’ve learnt that actually it is often irrelevant whether I have shot at a venue before or not. The venue is your backdrop, but it is you and your wedding party who are the important foreground. 4. How many images will we get? I will shoot a lot of images in the time I am with you. My editor does a first cut to sift out the not so good stuff, after which you can expect to get around around 40-60 edited shots for every hour I shoot (so around about 300 for a 6 hour wedding and up to 600 for a 10 hour wedding). 5. What format will we get the pictures in? Your package includes the option to have your images in either a hardback storybook wedding album that contains around 300 images or to have all of the edited files on presentation disc/USB. Of course if you opt for the images on disc you can always add on a book, or come back for one later (e.g, my clients often choose to have one as an anniversary gift) and vice versa. 6. Do you work alone or with an assistant? Generally I prefer to work alone, but occasionally I bring I might bring along a student looking for work experience, though I check first that you have no objection. If this is the case the student will offer any images taken as a thank you for the opportunity. The second shooter option is becoming more popular, and can be a nice way to get fuller coverage of all or part of your day. For instance, if you like the natural images but really don’t want to miss out on having more formal group shots, I could arrange a second shooter for just that part of the day. 7. What happens if you have an accident before the big day and can’t work? Good question. This is an issue for all wedding photographers. 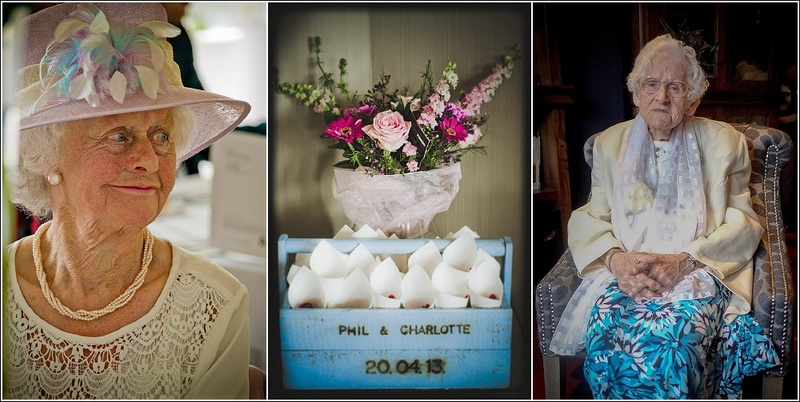 I network locally with numerous other wedding photographers. I know their work and they know mine. If the unthinkable happens, it means I have a ready supply of contacts to arrange a stand in and I can pick someone who fits you best. I also carry professional image makers insurance, and I recommend all clients look into taking out wedding insurance also. 8. What happens if things run late? Unsurprisingly this is not at all unusual, and some over run of the wedding schedule is often to be expected. However, just because I am booked to finish at 6 doesn’t mean I leave on the dot. I am happy to stay on to cover those parts of the day we agreed on. However, if things look likely over run by more than an hour I do make an additional charge. 9. You can Photoshop that can’t you? Funnily enough I don’t work in Photoshop much these days. It’s a great tool, but I do most of my editing in Lightroom instead and Photoshop is just for light retouching, and whilst I’m happy to do some light blemish removal I don’t do body reshaping and the like – let’s keep it real! 10. How long till our photos are ready? Editing photos takes a long time, it’s what gives them my unique ‘look’, and remember I am probably working on several jobs simultaneously, so please don’t expect to have your photos back really quickly. After the day, I will first copy and back up the ‘RAW’ image files to storage files and DVD. Mrs Beanphoto will then go through the files to pick out the best shots for editing. After that, I will start the edit. Along the way I like to share one or two ‘sneak peeks’ on Facebook (so long as you are happy for me to do so), and when finished, the images will be uploaded to your private, password-protected gallery, where you can browse, share with friends and family and make decisions on your favourites. It generally takes 4-6 weeks for the editing to be completed and sent to your online gallery. When I know you are happy, and if you have selected the option, I will burn your images to disc/usb and pack them for presentation. Images will be in both low-resolution for sharing on the web, and hi-resolution for making prints, with no branding, and a full licence for their non-commercial usage. 1. Why do you want a wedding photographer? 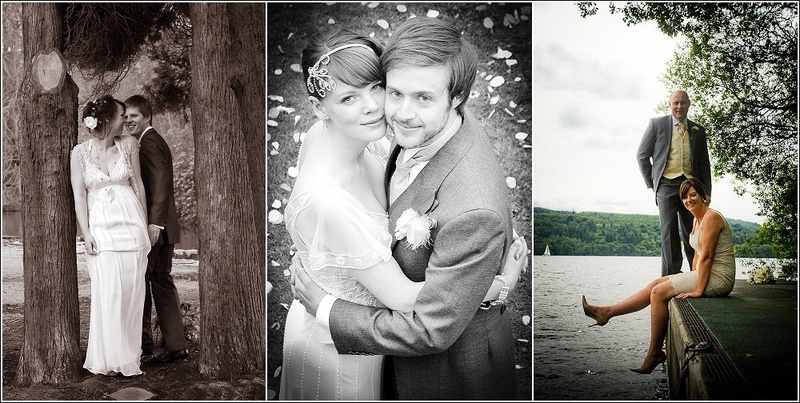 This may seem an odd one, but have you really thought about why you want someone to photograph your wedding? Do you want a record of the day as you saw it? or someone to capture all the things you were too busy to notice happening? Do you want lots of photos of yourselves, or are your friends and family the important subjects you want snapped? or is it all the little details you have spent time and effort on planning? A good professional photographer will be able to do all of this and also tell your story, but we need to know what is important to you. So do please think hard about what it is you want from your photographer and then communicate it to them. You’ll be glad of it in the long run. 2. What do you hope to get out of the experience? Do you want images you can put on your wall? or do you want an album, what about prints? Perhaps you are happy for now just to have an online gallery? Having your images on disc/usb is great, but you want to look at them right? show them off? celebrate your great day? Think about how you want to enjoy your photos, and how in time you want your family to enjoy looking at them too. Discs and usb’s will likely become redundant formats sooner or later, but an album will be a timeless way to enjoy your wedding memories for years to come, and should be considered an investment for the future. 3. What are the most important things about the day for you? As a wedding photographer, it’s my job to capture your day in great pictures, but your enjoyment of those pictures will be greater if you make it clear to me what the most important things to you both are. For some people it’s family, for other’s it’s the ceremony and first kiss, some people want to remember all the little details, the shoes, the table decorations, the boutonnieres, and for others its all about the emotions. Some people have specific images in their heads that they have been imagining for years, some have none. Everyone is different, and it’s what makes your day unique, so let me know what the important things are for you, and I’ll be sure your covered. 4. Do you have any objections to me posting your photos on my blog/website/Facebook? I like to show my work on Facebook and on my website etc, sometimes just a few shots, sometimes I’ll blog the whole day, and sometimes I may submit photos to local press and national wedding blogs. It’s a great way for me to show my work off, and attract new clients. If that’s something you’d rather I didn’t do, either for personal reasons, or perhaps because you have publicity sensitive careers, then do please let me know and we can discuss how to proceed. 5. What’s your schedule for the day? I like to work in a relaxed manner, and record the day as it unfolds rather than dictate what happens and when. However that doesn’t mean I leave everything to chance. One of the keys to getting good ‘natural’ images is good planning. I like to get a really good idea from you of your schedule for the day, what is happening when? Where? How long will it take? What will happen after that? etc etc. With a good schedule in my head, I can be in the right place at the right time to get those lovely ‘reportage’ images. If we’re doing group shots and couple shots, try to leave a good hour at least in your planning for these to take place. I probably won’t need an hour, but getting you away from your family and friends and finding gaps in the weather are among the things I have to take account of! And I need to know how long we have so that the hotel staff can keep to their schedule and you don’t get cold food(!) And a good schedule can show me where things are tight or if things are over running, giving me a chance to help get you back on schedule. 6. What is your budget? An obvious question perhaps, but a crucial one. It’s never easy talking money, but knowing your budget is crucial. Please check out my prices before we meet and talk to your partner about what elements of the day you want covering. Don’t forget to factor in things like drive times between venues, and think about how you want to use your images. Are you happy to have them on disc/usb and share them on Facebook etc, or are you looking to have a bespoke album or canvas prints made. Wedding Photography is not cheap, and there are many reasons for that, but hiring a professional photographer to capture the memories of your special day for you and your future family to enjoy is also great value for money. If your budget is tight, hiring an experienced pro for 6 hours instead of a bargain price newbie for the whole day, is likely to be much better value in the long run. 7. Are you familiar with my style and the way I like to work? If you’re on my website and reading this, then hopefully you are, but many people still ask to meet up without really being aware of the differences in photographic styles, and if we meet up to discuss your wedding and it starts to become apparent that your requirements and how I like to work don’t match up, we are wasting both our times. I work in a modern contemporary style, it’s a mix of mostly natural, documentary style images and some more traditional groups and couple shots and some arty stuff too! All photographers work a little differently and personality comes through in our work. It’s really important to me and to getting good results, that I know your personalities and you know mine. I look to reflect your personality in the way I shoot your wedding, making suggestions about things we can try, or the quirky things I’ll look out for. 8. How did you hear about me? I love to know how you came across me, and of course it’s good business practice for me to know that stuff too! So do share that information with me. Was it a friend? Perhaps you just Google’d “Wedding Photographers in Lancashire” and found me, maybe you saw something on Facebook or Twitter or maybe it was a particular wedding gallery or just one photo that hooked you? It’s nice to know where I’m getting things like my marketing right (or wrong!) and it really helps me to develop my business further. 9. Can you tell me about yourselves? How you met, what makes you laugh, the things you like/dislike, are you comfortable with public displays of affection? Okay I know that’s more than one question, but this is crucial stuff. I really believe that. If I have a real sense of who you are? How did you get together? Are you outgoing or shy? Touch-Feely or reserved? What kind of things do you enjoy? What music do you listen to? the films you like to watch? or the kind of books you read? What are the things that make you laugh or cry etc. etc. All of these things can help me to plan how I will shoot your day, without making you uncomfortable or embarrassed. I can also think about how to shoot to include the things that are personal and unique to you as a couple. Photographs can evoke powerful emotional responses in people, and I want you to feel your wedding photographs are personal to you, not shooting by numbers. 10. Do you enjoy looking at photos of yourself? It’s okay most of us don’t! We simply don’t see ourselves the way others see us. We see our imperfections, while they see our uniqueness, our personalities and the things that make us the individuals we are. Relax! a short word that’s so easy to say but so hard to do. But if you can be relaxed about having your photo taken and get on with enjoying your day, your photos will be so much the better for it! And when it comes to choosing the pictures you want in your album, here’s my top tip – you get to choose the pictures of your partner, while your partner chooses the ones of you. Don’t choose quickly, see which ones your friends and family respond to with “that’s lovely” or “that’s so you” and put aside your own thoughts about how you think you look. I find time and time again that pictures of myself I don’t much care for, I will look back on a few years later and think, “actually, I like that, I looked better than I thought”, and down the line when you have kids and grand kids and they want to look at your wedding photos they will thank you for it too! I hope this has been helpful and of use to you, but if you have other questions to ask please don’t hesitate to contact me. I don’t bite and I may have some new questions for you too!